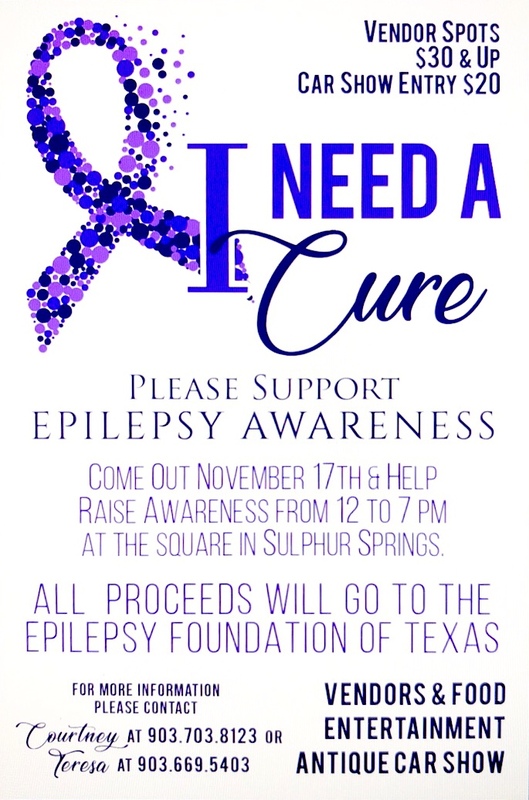 An Epilepsy Awareness event, “I Need a Cure” is set for November 17, 2018, noon until 7 p.m. Vendors and antique car show entries are being sought for the event. All proceeds from the event will go to the Epilepsy Foundation of Texas. For more information call Courtney at 903-703-8123 or Teresa at 903-699-5403.